This bold account follows the brave exploits of Sergeant "Packy" Perkins and his unit... of rabbits! Join Packy and Private "Bota" Botasky as they resolve an Iranian hostage crisis. 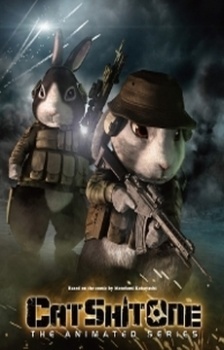 Watch these commando-style bunnies through an anthropomorphic lens as events unfold and violence erupts. Note: This anime has been provisionally set to 'Finished Airing' due to lack of official information regarding future installments. A serious but short gripping war drama.